Golf is a game hailed for its intrinsic ability to be played and enjoyed by individuals of all body types, fitness levels, handicaps and the like. And yet, among these differences, one commonality certainly exists—there isn’t a golfer on the planet that doesn’t desire a stronger, more reliable and more consistent golf swing. Enter the Fore-Max Golf Training System. Based out of The Westin Kierland Resort & Spa in Scottsdale, Ariz., the Fore-Max Training System was born from the idea that fitness and instruction are equally beneficial to those seeking to improve their game. 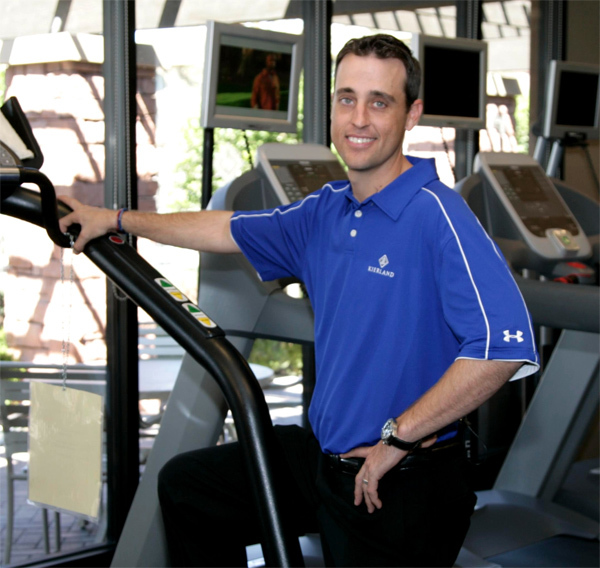 “Our focus has always been to encourage growth and enjoyment in the game of golf for each and every one of our guests through instruction, physical fitness and our exclusive pro-fit technology,” says Steve Heller, Fitness Director at the Kierland Resort and developer of the Fore-Max System. Recently, AFM sat down with Heller to discuss Fore-Max, how it works and how thousands of players are reaping its benefits. What is the philosophy behind the Fore-Max Golf Training System? The philosophy behind the Fore-Max Golf Training system is simple: To encourage growth and enjoyment in the game of golf for players of all ages and ability levels through golf-specific fitness. We want to see golfers, no matter their ability levels, train like the “pro’s”. [We] create an individualized workout program for amateur players, just like we do for our professional golfers, that will help them work on flexibility, conditioning and golf-specific strength. In recent years, more attention has been drawn to creating athletic golfers, how is this beneficial in the short term and long term? Creating a more athletic golfer helps in every aspect of an individual golfers game. When a golfer is more athletic, they carry themselves differently, have better posture and tend to be more confident. [In addition], they have a very positive outlook on and, just as importantly, off the golf course. When a golfer is in good shape, the physical side of the game of golf becomes a lot easier. The “technical” side of golf, which includes making actual swing changes with an instructor, can be very complicated and frustrating if the player “physically” cannot accomplish what the instructor wants them to do. Creating a more “athletic golfer” helps not only the player, but the instructor as well. How does golf instruction play into the Fore-Max philosophy? We have a great relationship with instructors all over the Valley, because we at Fore-Max are not necessisarily teaching the golf swing per se, but are trying to make our golfers more athletic and give their instructor a better player to teach from the technical perspective. When the golfer is in better shape and more athletic, he or she is also less likely to encounter some of the most common injuries in golf like back pain, shoulder pain and wrist pain. Also, an athletic golfer has less fatigue on the golf course, helping them concentrate and finish their rounds in good spirits, physically and emotionally. What does a typical Fore-Max Training session consist of? Our sessions are 90 minutes in duration and are broken up into three distinct areas of emphasis. The first, and most important to us, is the area of overall flexibility. For the first 30 minutes of each session, players are taken through a full-body flexibility program focusing on each muscle group in the body, breathing, and posture. This routine is extremely golf specific, working on rotation and separation of the upper and lower body, something critical for increased club head speed and more consistent golf. The second 30 minutes of the workout focuses on getting the player more strength and range of motion in the core, back and hips. Using medicine balls, physio-balls, and the players own body weight, we spend vast amounts of time working on getting the player’s “core” muscles strong and powerful. No matter the age or gender of our students, the results of getting them flexible and strong in their core and hips proves huge gains in their golf swing. The last 30 minutes of our Fore-Max session works on getting the player some truly functional golf strength. This is done by getting the players to use all of our golf-specific strength aids as well as a wide variety of exercises to help the player achieve more “golf strength” in their body. How easy is it for students to continue their Fore-Max training at home after departing from their stay at Kierland (i.e. if they aren’t locals)? Easy! And that’s why our program works! We teach golfers customized workout programs that they can easily accomplish at home, in their hotel room, on the road or even five minutes before they tee off. Our program is specifically designed without the use of much “equipment,” which can ultimately confine a student to working out in a gym. What we want is for our students to do all of their workouts with nothing more than a little space and minimal equipment. Having a student come to Kierland, go through a Fore-Max evaluation and head off with a customized take home manual is one of my favorite things to do! When we are creating these customized take home manuals for our guests, we go through a wide range of “testing” on these students. We start off by going over what goals he or she has in their golf game, what kind of things they have done up till now to address their physical conditioning, and what kind of things they are working on from a technical perspective with their individual golf instructors. From there, we begin our different screenings. We test the individual’s flexibility, balance and strength in order to get an understanding of what imbalances they might have from one to side of their body to the other, or from one muscle group to the next. We then try to teach them as many golf-specific exercises as we can to address our findings. Once the player has been tested and protocol has been designed, we like to test what the player is doing from a data standpoint when they hit a golf ball. This is where Fore-Max works hand in hand with our team over at Pro-Fit. What is the benefit of having Pro-Fit on site? Pro-Fit, which is located at the Kierland Golf Club, takes my players and puts them on their Nike Flight Scope. This technology lets us look at the players swing speed, launch conditions and set composition when hitting a real golf ball on a real driving range. This data is extremely beneficial for me to create even more protocol for the players take home manual. What kind of results can be achieved through the Fore-Max Training System? Using the Fore-Max Training System golfers will see a dramatic change in the following: increased driving distance due to increased body strength, increased stamina leading to consistency on the course, improvement in overall swing mechanics due to better rotational capabilities and posture as well as increased flexibility, which leads to a more fluid golf swing, injury prevention and rehabilitation. The Westin Kierland Resort & Spa, 480.624.1000, www.kierlandresort.com.